Ah, Virginia Beach. 35 glorious miles of coastline and three wonderful miles of boardwalk along white sand, beach umbrellas, and the crashing waves of the Atlantic Ocean. Tourists flock to enjoy fun in the sun at Virginia Beach, but there are plenty of things to do off the beach too. As a matter a fact, we enjoyed days of adventure that didn't include one moment of getting sand in our shoes. Looking for something to do once the tan is in full swing? Here are the very best things to do in Virginia Beach off the beach. 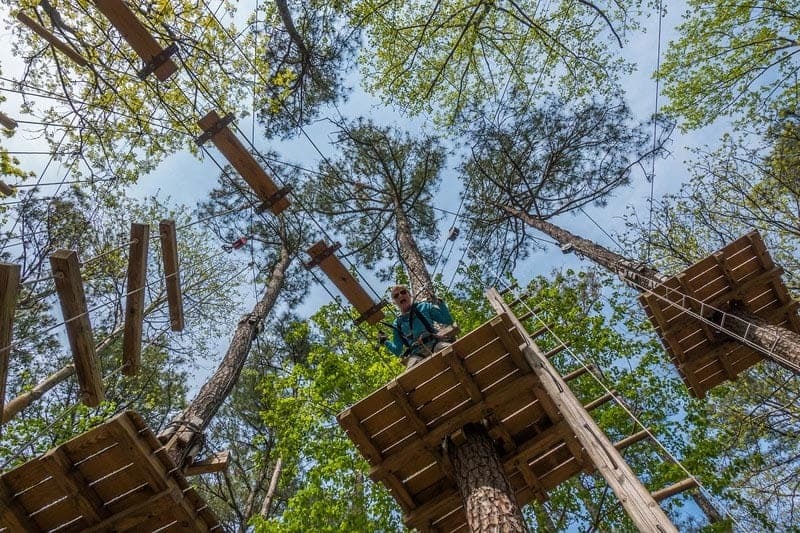 When we went looking for the ultimate adventure in Virginia Beach, we didn't expect to have one of the greatest adventures we've had in our travels. 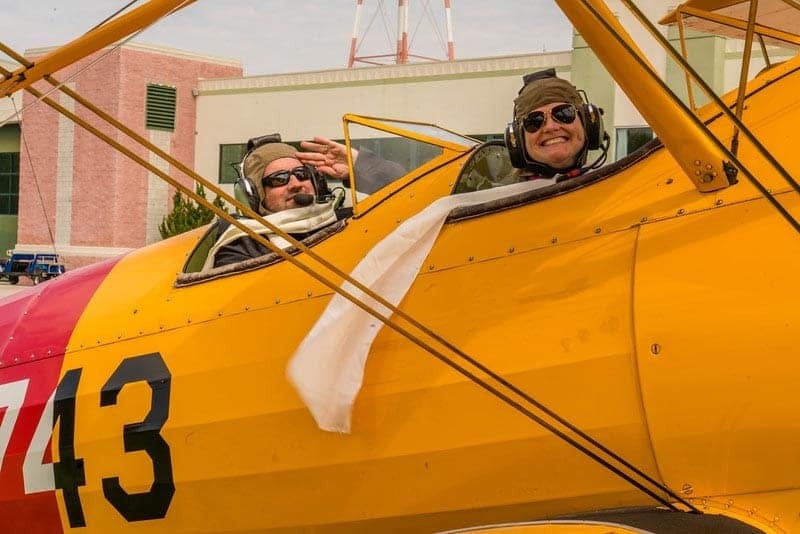 The Military Aviation Museum not only offers a tour of dozens of classic planes from World War I and II but they give you the opportunity to fly in one! 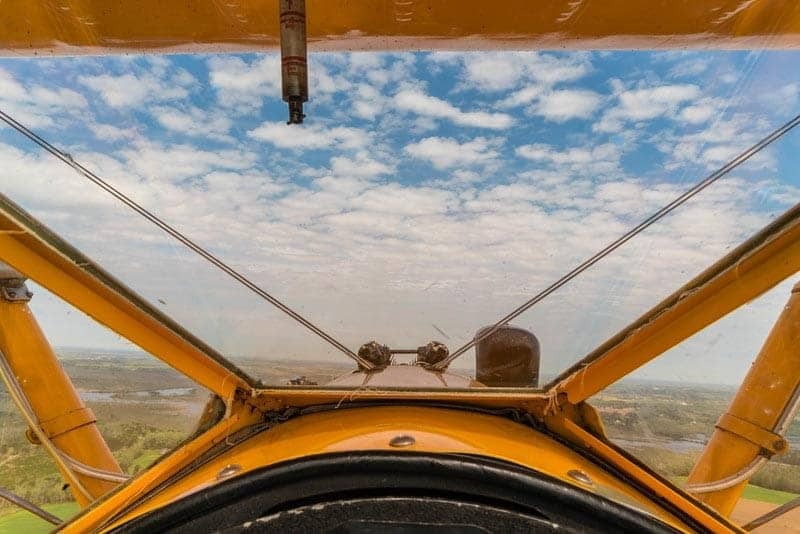 Visitors to the centre can fly with a genuine pilot in a World War II biplane. We met Captain Rober ‘Boom' Powell at the runway and donned our flight suits for our 15 minute flight over the area where he showed us the old runways left over from World War II. 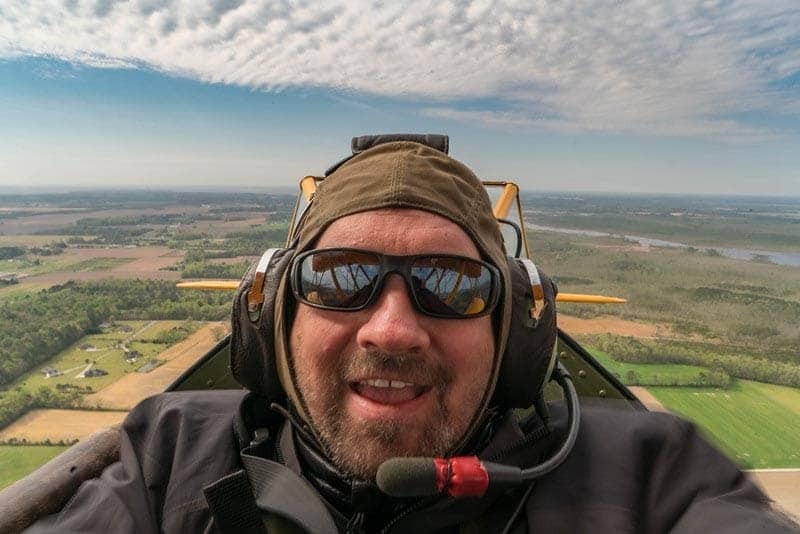 Biplanes cannot take off in high cross winds. Back then the runways were set up criss-crossing each other so the pilots could take off in any direction. After all, war doesn't wait for wind. It was a thrill of a lifetime as Boom dove through the air and did maneuvers as the wind ripped through my helmet. Yes, we actually wore leather helmets just like the fighter pilots of World War II. 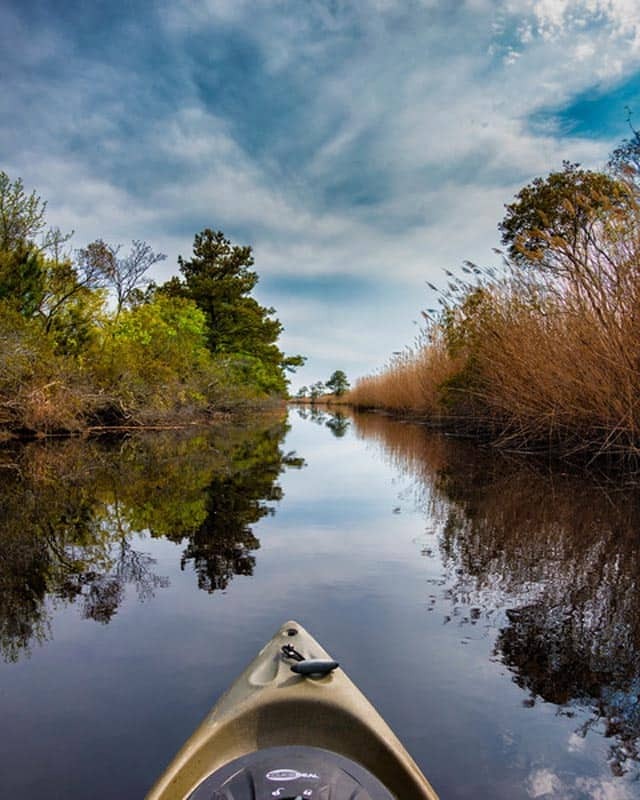 The Back Bay National Wildlife Refuge in Virginia Beach is a bird lover's heaven. 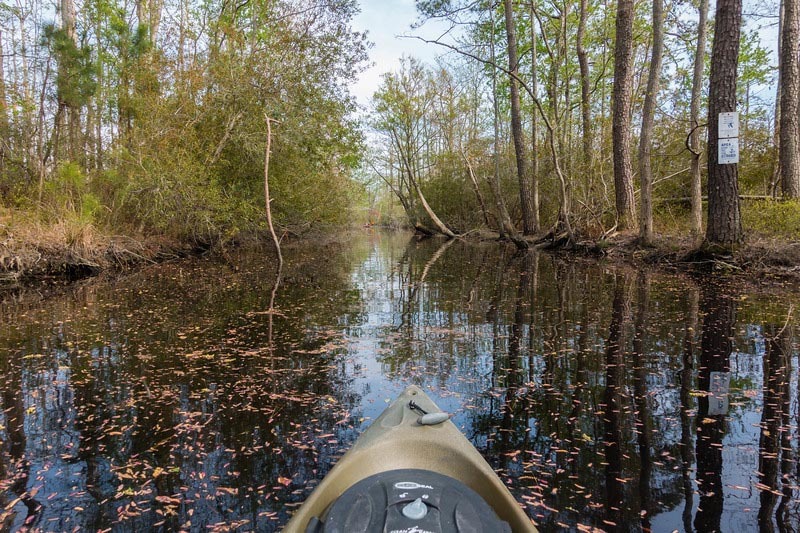 Kayaking through the backwaters is a relaxing experience away from all the hustle and bustle. We booked a guided tour with Surf & Adventure where we launched from the dock at their shop for an hour-and-a-half paddle through grasslands and channels. We spotted bald eagles and sea birds during our hour long and relaxing trip while taking in the view. The tour ended at the restaurant Blue Pete's, a local favourite specializing in seafood dishes. 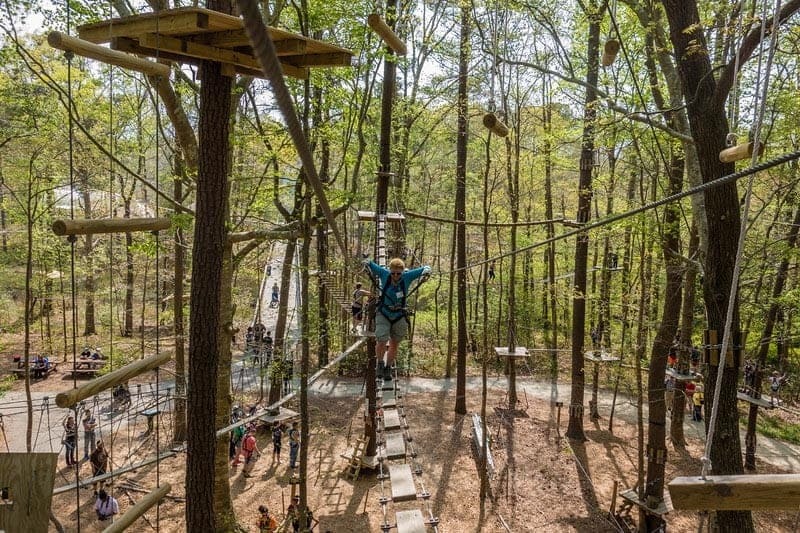 If you want to feel like a kid again, the Adventure Park at Virginia Aquarium is a fun way to get the adrenaline pumping. Dave and I love doing via ferratas when visiting Europe. 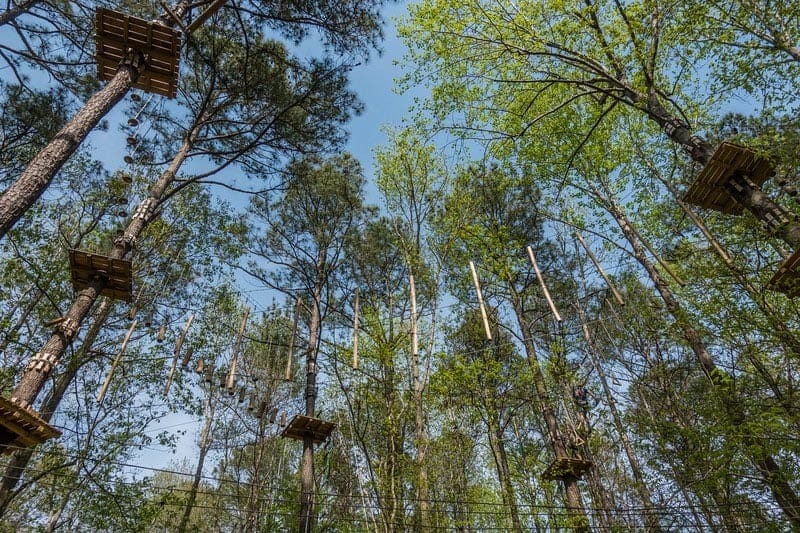 The high ropes at the Adventure Park are as close as you'll get to the thrill of scaling a mountain. Don't worry if you don't have experience on high ropes, guides will show you how to lock your harness to the cables keeping you safe and sound. There's no possible way to unhook once you are on the course so you are free to try any obstacle you choose. The climb is a ton of fun as you cross cable bridges and pull yourself along opens spans on surf boards. Courses range from beginner purple to double black diamond. You could spend an entire day challenging yourself to seek new heights. 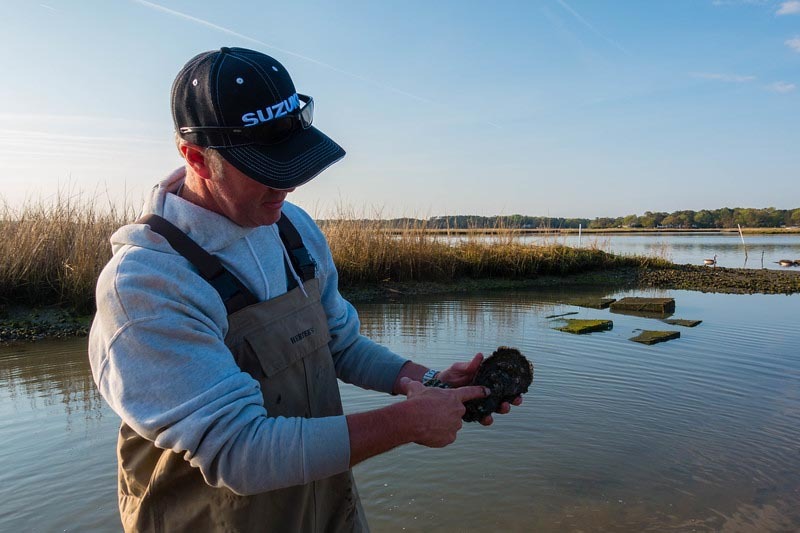 Oysters play a huge part in Virginia Beach's economy. 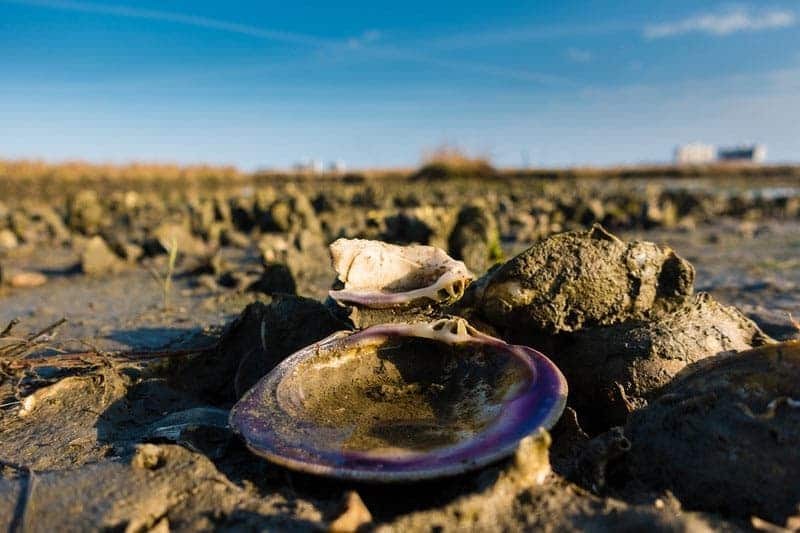 Going on an oyster boat tour gives you insight into how the industry works and how the economy depends on it. Captain Chris Ludford is as passionate about oysters as he is the environment and going out to his oyster farm is fun and informative. We met him at his boat in the Lynnhaven Marina where we took a tour out to his plot of oysters. 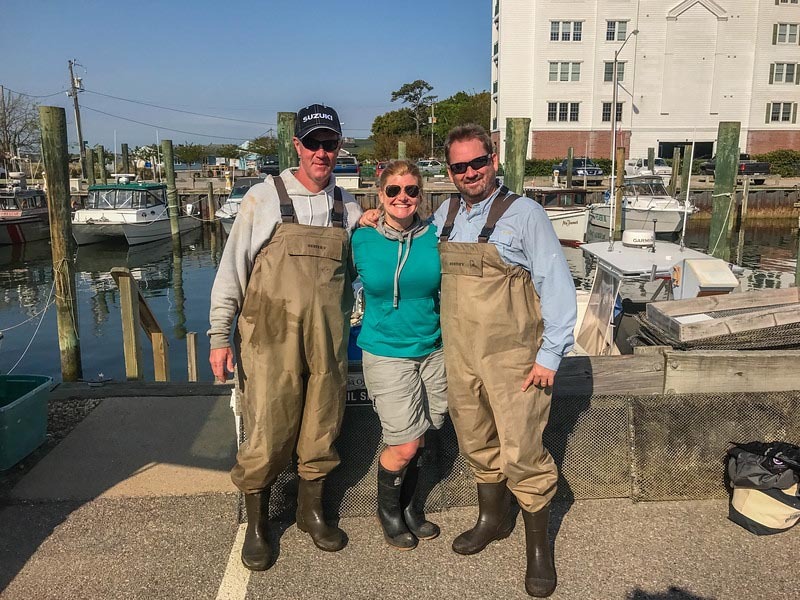 The fishermen of Virginia Beach are very focused on making sure the waters are sustainable. They've been working towards regrowing the oyster corals and bringing the numbers back to the area. 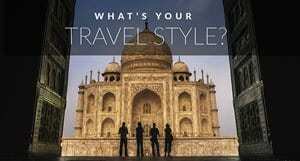 It's a relaxed tour where you are free to really do anything you choose. Be sure to bring your appetite as Chris will feed you as many oysters as you can stomach. 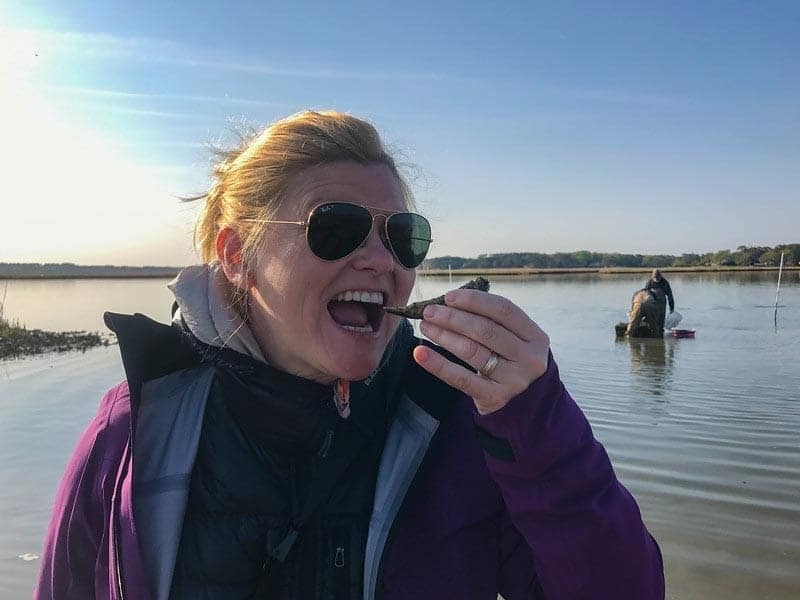 There is nothing better than a freshly shucked oyster right out of the sea. After learning about how he raises the oysters to the optimal three inch size, we took a tour of the canals to check out the mansions and waterfront homes. Rapper and producer Pharrell Williams has a house right on the shore. He was born and raised in the area and comes home often. Who Wants Oysters for Breakfast? 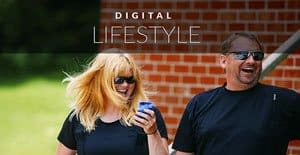 If you are looking for something different to do, this is definitely a unique tour. When looking to book oyster tours, contact Chris directly. One doesn't usually go to a museum when visiting a beach town, but the Museum of Contemporary Art is a great afternoon trip. If you are interested in expanding your modern art knowledge, this is a superb stop. 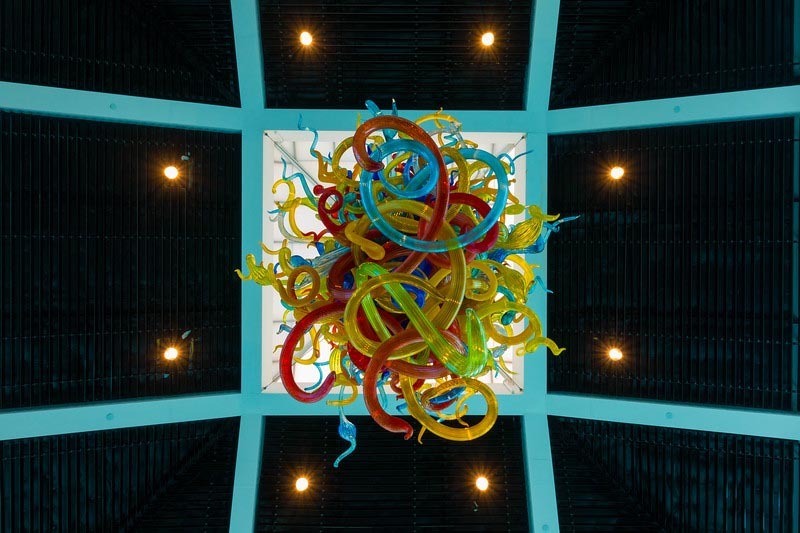 The museum fosters awareness, exploration, and understanding of the significant art of our time. Exhibitions change regularly. When we visited the exhibit “Mindful: Exploring Mental Health Through Art” was the cornerstone display where exhibitions used art to showcase insights and opportunities to change lives. It was moving and inspirational all at once. Did you know that Virginia was the first established European settlement in the United States? It was right here at First Landing State Park in 1607 that 100 English settlers landed. 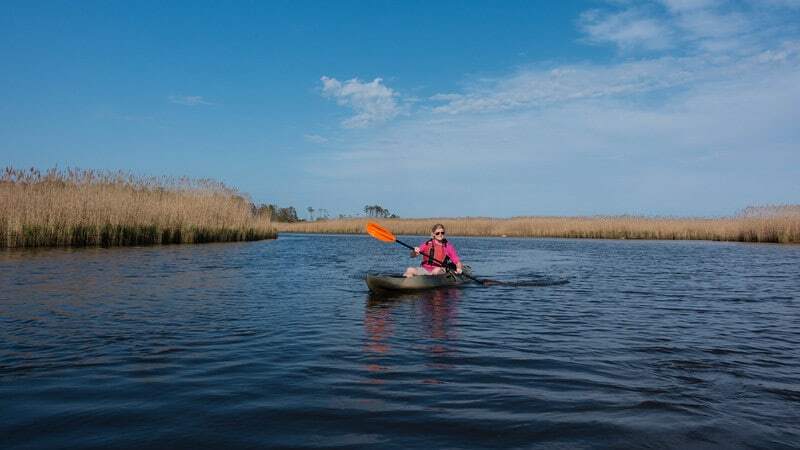 This 2,888-acre park not only has 1.25 miles of beach front, but there are 19 miles of trails through protected salt marsh habitat. The park is beautiful and a perfect day trip for hiking or biking with the family. 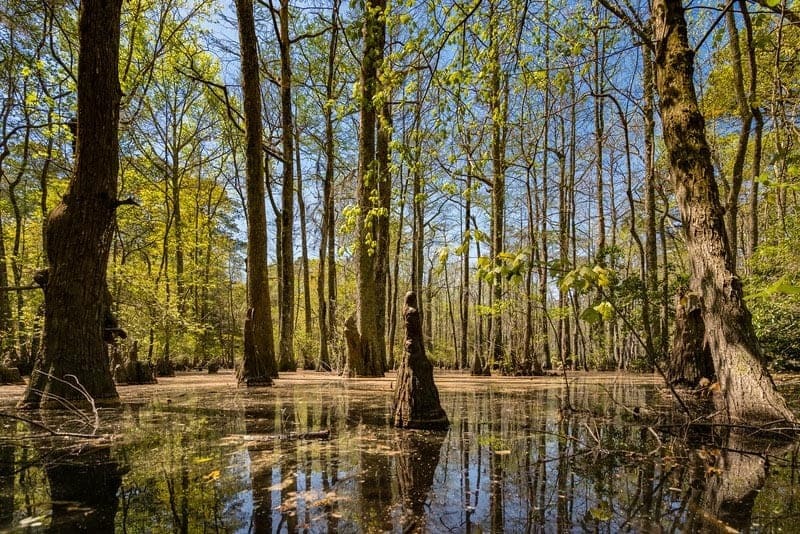 There are freshwater ponds and picturesque swamps. There are even museums and interpretive centres telling visitors of the history of both the pilgrims and Native Americans. After you've had a good hike and learned about history, you can spend some time on the beach enjoying a beautiful sunset at the dunes. One of the most interesting lighthouses we've ever visited was Cape Henry Lighthouse. What makes this unique is that it is located in the middle of an operating military base. You'll have to show ID and they'll search your car before letting you in to a very restricted route to the lighthouse. 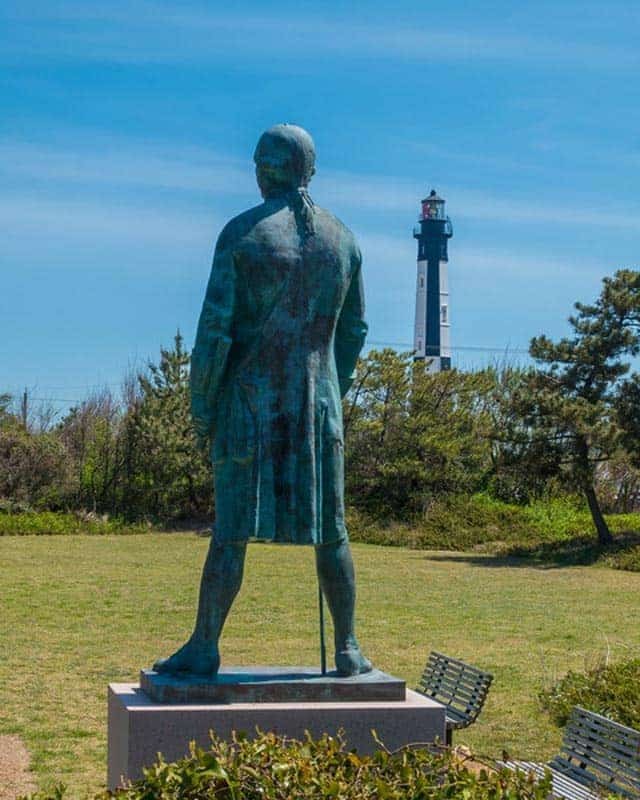 There are two lighthouses at Cape Henry, the newer modern structure and the historic lighthouse that was the very first lighthouse structure authorized, fully completed and lighted by George Washington and the U.S. federal government. 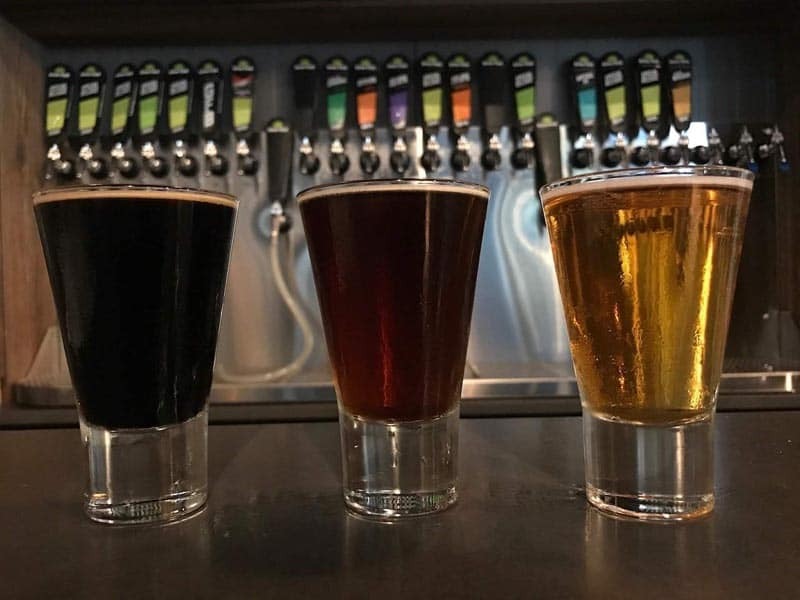 Microbreweries are popping up all over Virginia and there are plenty of places to sample the local ale. 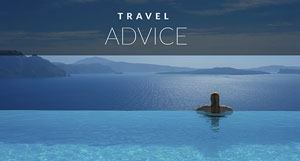 Some are walking distance from Virginia Beach and others are located out at Chesapeake Bay. The good news is there are free shuttles that take you out to the bay so you don't have to drive. 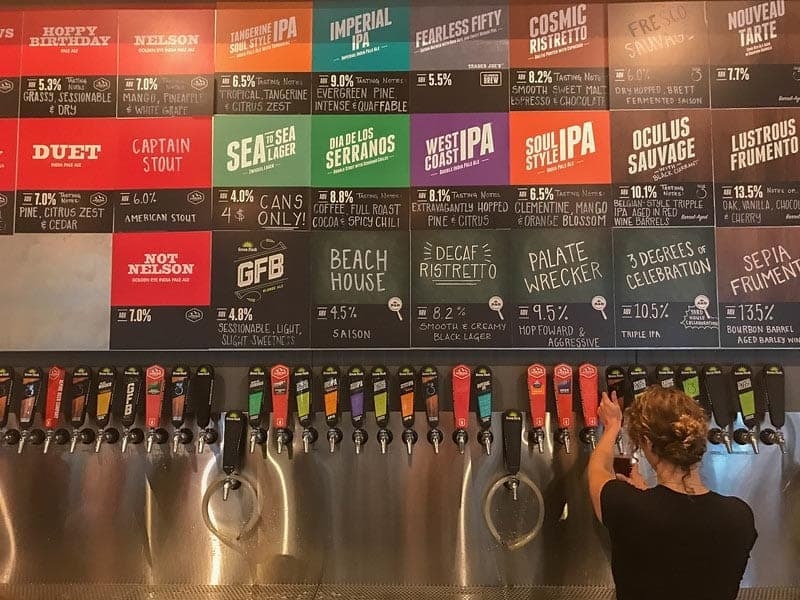 Top choices for samples are Back Bay Brewery, Green Flash Brewery, Chesapeake Bay Beach, Commonwealth Brewing Company, and Pleasure House Brewing. Now that's a lot of microbreweries. 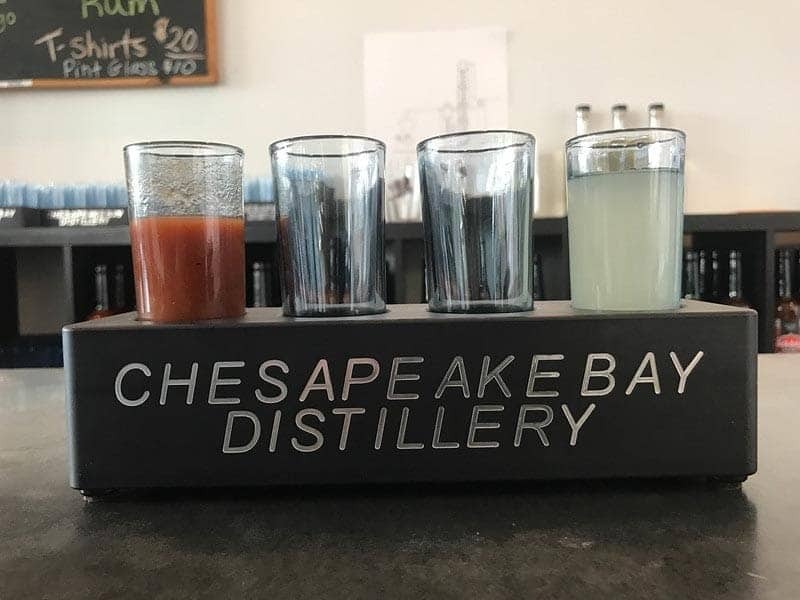 Another interesting stop is a tasting at the Chesapeake Bay Distillery where you can sample their vodka. Virginia Beach has a burgeoning food scene that will excite any foodie traveller. From fine dining to diners and dives, Virginia Beach has it all. There are places like Commune that are run by farmers and follow the farm to table movement to a tee. 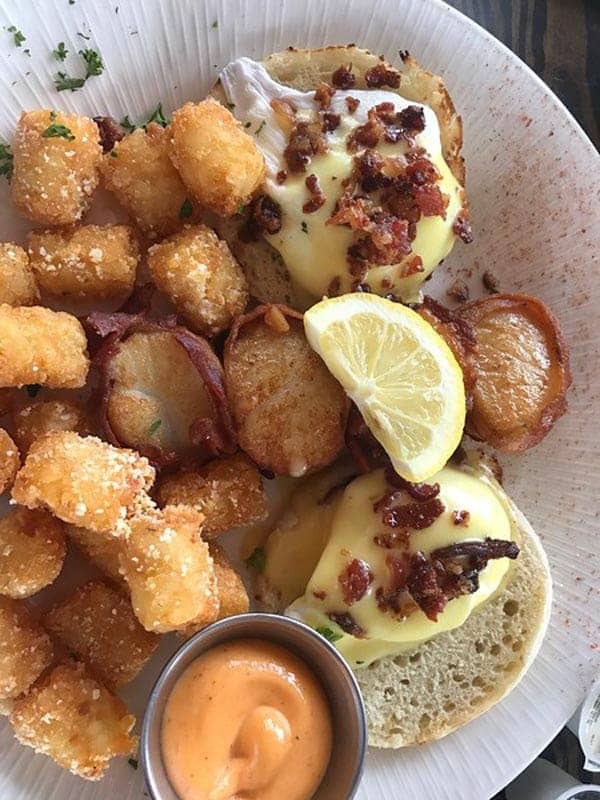 Seafood is on the menu nearly everywhere in Virginia Beach but it is also infused with contemporary cuisine and seasonal fresh farm ingredients. 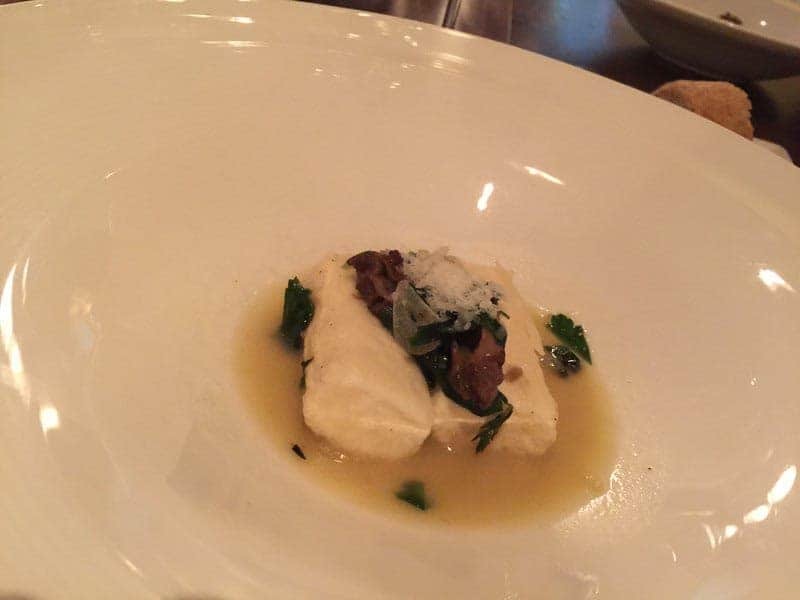 You'll get unique dishes created by award winning chefs. Even the diners have been featured on TV and owners take pride in creating heavenly dishes from locally sourced farms. 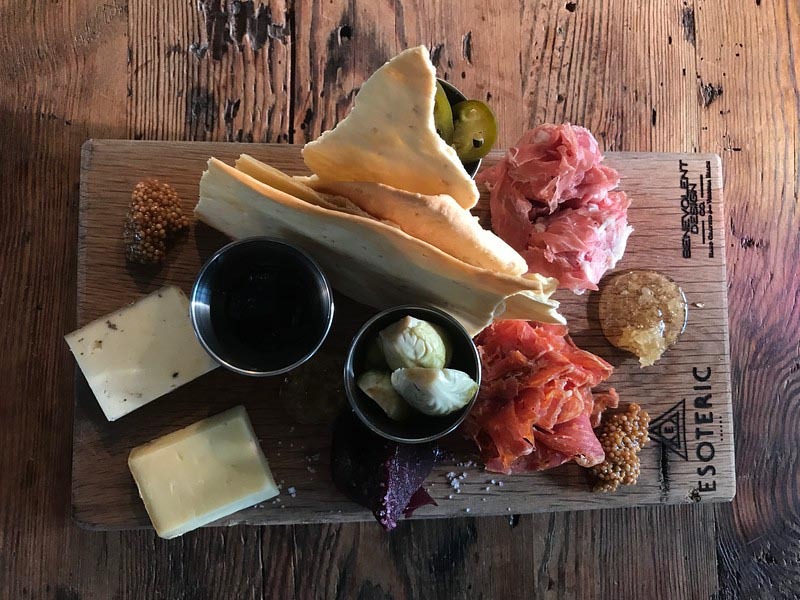 A few of our favourite eats were Esoteric and Terrapin for finer dining, Commune and Bay Local Eatery for Breakfast and Brunch and Leaping Lizard and the Back Bay Gourmet for lunch. 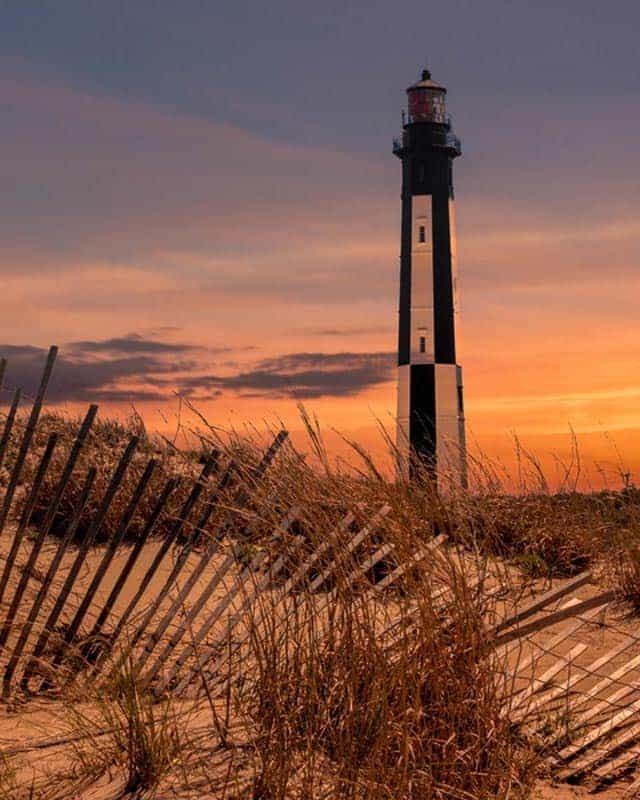 While you may be planning a trip to Virginia Beach to spend all your time in the surf and sand, there are many other things to do that can mix things up and put some excitement into your usual beach vacation. Virginia Beach is much more than a beach, it's an adventure. 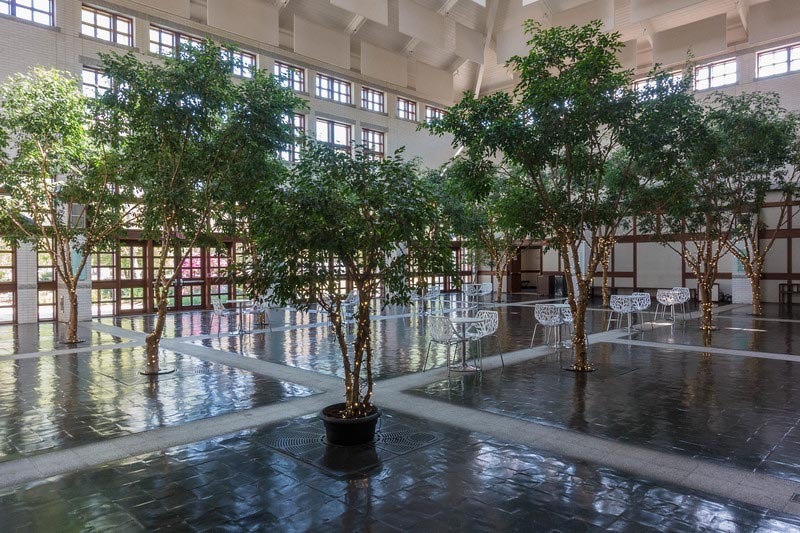 Our trip to Virginia Beach was in partnership with Matador Network and Visit Virginia Beach. 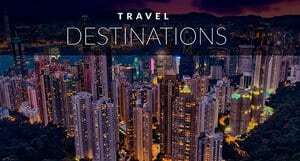 Visit their website for more information and to start planning for your trip to Virginia Beach. 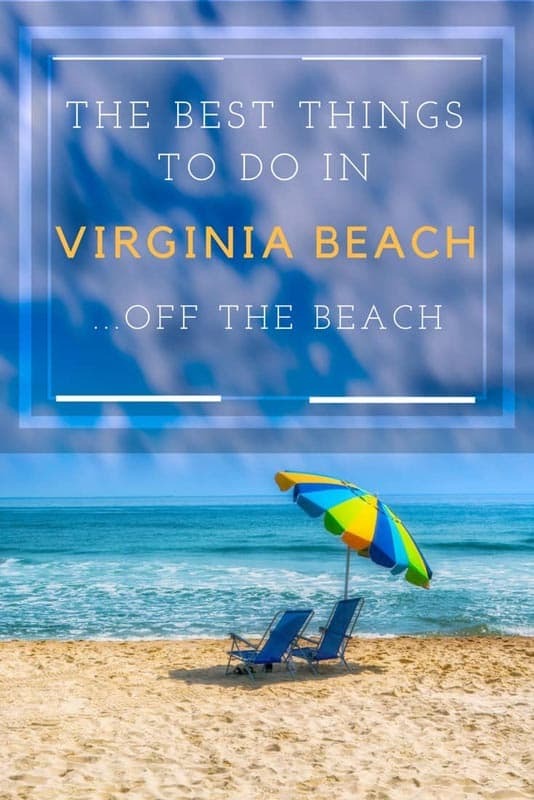 5 Responses to "The Best Things to do in Virginia Beach off the Beach"
Man, there is a lot to do in Virginia … looks like I’ll have to plan a holiday there soon! OMG!! It’s my extreme desire to fly in a Warplane. And Kayaking in the Backwaters, Yeah !! Awesome. What a great adventure destination. That must have been incredible to experience flying with your head and shoulders exposed to the open air! A visit to the distillery and a flight! Am I dreaming too much? Thank you for ideas! Looks like an amazing place to go and relax.